From Andrew Gaff to Jesse Hogan, 2018’s AFL trade period has certainly managed to yield many headlines and big moves, but as it comes to a close the club who has been hardest hit by departures has easily been the GWS Giants. The 2018 trade period has brought about many headaches for the Giants, who bowed out in this season’s Semi-Finals at the hands of a swift Collingwood lineup. Salary cap constraints have meant that the Giants have been forced to offload major talent, including on-baller Tom Scully and midfielder Will Setterfield, both of whom have left for Victorian clubs. With one day remaining in the trade period, it’s also possible that star midfielder Dylan Shiel and utility Rory Lobb will also leave the club for opposition teams. “Dylan Shiel will go out, Tom Scully will go out. The names just keep going (Jeremy) Finlayson, (Will) Setterfield, Rory Lobb will go to Fremantle.” claimed The Age’s Micheal Gleeson in a discussion with Channel 9’s Sports Sunday. This shouldn’t come as shocking news for most supporters of the AFL- this isn’t the first season in which the Giants have lost promising talents from their stocks in what has become an unsightly trend for Giants supporters. Last season they lost Devon Smith and Nathan Wilson to Essendon and Fremantle respectively, while in 2016 the likes of Cam McCarthy, Caleb Marchbank, Will Hoskin-Elliot, and Jack Steele all decided to part ways with the club. The same storyline can be seen even further back- In 2015, star youngster Adam Treloar left for Collingwood, and in 2014 the club lost both midfielder Taylor Adams and Number One draft pick Tom Boyd back to Victorian clubs. The problem is also evident at another expansion club, the Gold Coast Suns, who continue to lose players who want to return home to Victoria, in what seems to be one of the unintended perils for the AFL of expanding into uncharted territory. The lack of success from the Suns across their short existence can also be seen as another reason for players leaving the club, something however that can not be attributed to the Giants. They’ve been premiership contenders the past three seasons, being eliminated only by eventual Grand Finalists. The future seems to piece out an extremely successful period ahead for the club, led by the likes of Callan Ward, Stephen Coniglio and Lachie Whitfield, players likely to stick around for the Giants’ promising future ahead. Another worrying sign for the Giants is the fact that players like Scully and Shiel still have time left on their contracts despite asking for a change of scenery. Shiel, who has nominated Essendon as his club of choice to be traded too, still has a season remaining on his contract, while Scully, a marquee signing for the Giants’ inaugural season in 2012, was to stay at the club until 2021 according to his revised 2016 contract. His 2016 contract saw him take a substantial pay cut off his original $6 million signing fee when joining with the club for its first season, possibly signalling the start of the Giants struggle to stay within the salary cap. Both Shiel and Scully are foundation players at the Giants- losing them both will be devastating the club’s already heavily savaged depth. 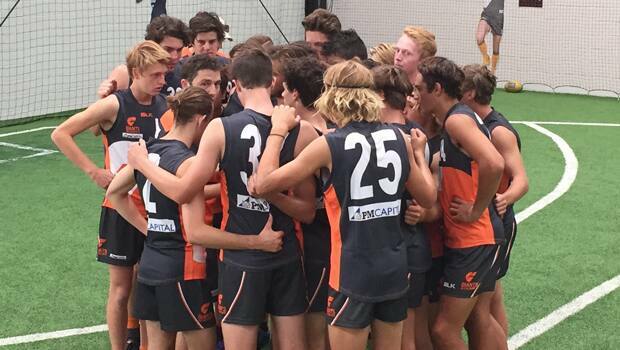 The reason for the mass exodus of some of GWS’s top young talent is obvious- it’s the concept of moving back home. For many of the Giants who have left the club, returning home to Victoria has proved to be an irresistible proposition. With the majority of the club’s draft selections originating from Victoria, many players see returning back to their home state as a reason for moving on from the club. Moving interstate to a place where you might not know many people initially, away from family and friends is certainly a difficult obstacle faced by many of GWS’s draftees that have not been sourced locally. Therefore, the Giants have been forced to pay more than they would like in order to keep players at the club from moving back home. This has been evident in the past few seasons with the re-signing of star players like Lachie Whitfield, who extended his contract by two years last season despite heavy interest from opposition teams. However, the mass exit of quality talent from the Giants has seen them receive quality compensation in future draft picks to replace the champions who have left the club. Last season, they received Essendon’s first round pick for losing Devon Smith, and in 2016 picked up selection number three in the draft after losing Cam McCarthy to the Fremantle Dockers. Unless things are changed though, It does seem although this could be the start of a never-ending cycle for the Giants- where they recruit youngsters from interstate clubs and get them playing good football, only to find that once this talent has been developed that these recruits want to leave for opposition clubs that offer the lure of returning to their home state. If the Giants are to successfully go a step further than their preliminary final appearances in 2016 and 2017 respectively, they will need to find ways in which to keep quality talent at their club from leaving. The fact that players like Shiel and Scully are able to leave without any regard to the constraints of their contracts is certainly not something that helps the Giants. One thing that will help the club moving forward from having their players poached is through the continued development of local talent through their Academy and talent pathways. In a few seasons, the Giants may be able to source more local talent like clubs in Western Australia and South Australia do, decreasing the tantalizing likelihood of a player wanting to return home. Obviously being located in a city that is beyond the “Barassi Line” does not do GWS any favours in developing quality local players, however, there doesn’t seem to be many other ways in which they can combat the loss of impressive talent without going over the salary cap apart from it.